A real estate sold sign is shown outside a house in Vancouver. Vancouver home buyers took out smaller and fewer mortgages after the government imposed measures to cool the province's fiery housing market. The average size of a new mortgage in Vancouver was $517,415 in the first quarter of this year, compared with $553,719 a year earlier, according to a TransUnion report released on Tuesday. Not only were mortgages smaller, the number of mortgage originations in the city dropped to 6,226 from 9,162 over the same time period. "It is slowing, for sure," said Matt Fabian, research director for the credit-monitoring firm. In British Columbia, the average size of a new mortgage was $375,126 in the first quarter, compared with $384,430 a year earlier, and mortgage originations fell by 20 per cent to 25,734. A year ago, the B.C. government slapped a 15-per-cent tax on foreign home buyers in the Vancouver area, immediately slowing home sales in the region. In recent months, sales activity has picked up, and the average price of a detached house in the Vancouver region was $1.7-million in July. 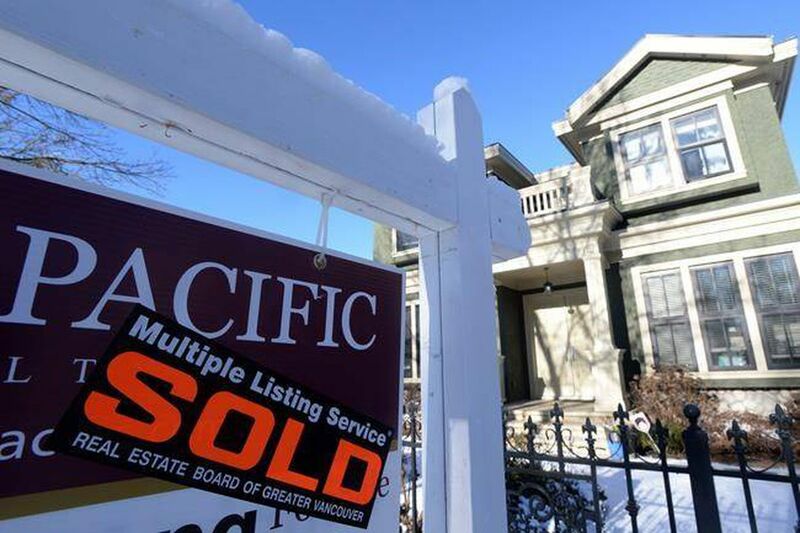 The Ontario government also imposed a similar tax on foreign home buyers in April in an effort to throw a damper on soaring real-estate prices in the Toronto area. The average selling price of a detached house in the city has also topped $1-million. The taxes in Ontario and British Columbia, as well new federal mortgage insurance requirements set out by Ottawa last year, were designed to weed out real-estate speculators, make housing more affordable and ensure Canadians could handle their mortgages. In addition, the share of homeowners delinquent on their mortgage payments remained below 1 per cent, according to the TransUnion report. Even in areas that have suffered from the energy slump, delinquencies were low. In Calgary, the proportion of consumers delinquent for at least 60 days was 0.51 per cent at the end of the second quarter, compared with 0.47 per cent a year earlier. By comparison, the delinquency rate declined in the country's two hottest real estate markets. At the end of June, the share of homeowners that were delinquent in Toronto and Vancouver was 0.25 per cent and 0.23 per cent, respectively. "Even when consumers are faced with cash-flow or liquidity stress, they tend to protect their mortgages and their houses. So things like credit cards get sacrificed first," Mr. Fabian said. TransUnion looked at credit data before July, when the Bank of Canada's hiked the benchmark interest rate by 25 basis points to 0.75 per cent and made it slightly more expensive for consumers to borrow funds. However, interest rates are still below 1 per cent and the bulk of Canadian homeowners have fixed-rate mortgages. TransUnion estimates that if Canada's central bank raised interest rates by one percentage point, about 300,000 consumers would be materially impacted. "We are not suggesting that their delinquency rates would go up. They would just have less cash flow," Mr. Fabian said. Editor’s note: A previous version of this story said that TransUnion estimates that if interest rates rose by one basis point, about 300,000 consumers would be materially impacted. In fact, TransUnion meant “one percentage point” not one basis point.